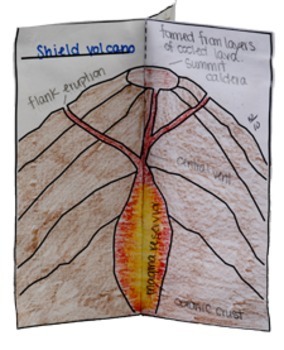 A constructivist approach to learning science concepts and systems. 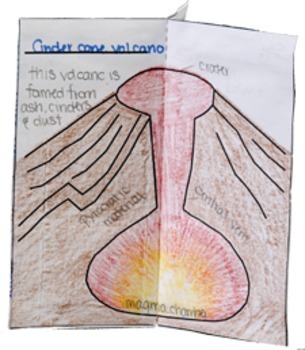 Designed with classroom teachers in mind, this easy to use creation project is great for class work, homework, and mini assessments. 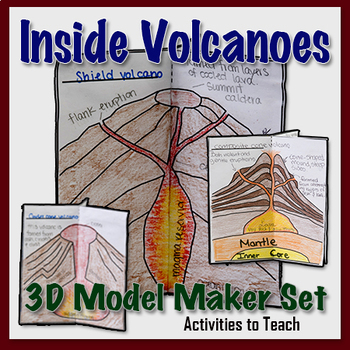 Model explores the layers of three type of volcanoes and their components. Finished size is 6 inch in diameter. Appropriate for grade levels 6 to 9. 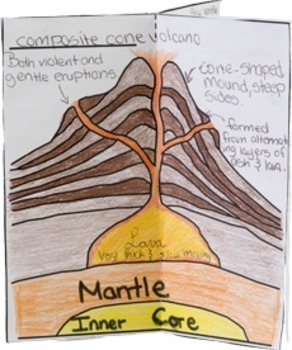 Ideal for classroom activity or project assignment. Supplies needed are scissors, coloring utensils and glue. •	Please go to your My Purchases page (you may need to login). Beside each purchase you'll see a Provide Feedback button. Simply click it and you will be taken to a page where you can give a quick rating and leave a short comment for the product. I value your feedback greatly as it helps me determine which products are most valuable for your classroom so I can create more for you. •	Look for the green star near the top of any page within my store and click it to become a follower. You will then receive customized email updates about this store.